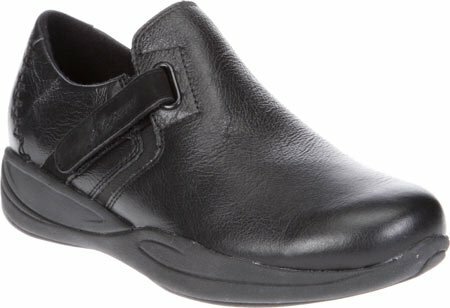 Xelero Visalia is a light supportive casual shoe. The patented Xelero technology offers a dynamic and stable forward motion during walking. Visalia has additional gel pads in the forefoot and rearfoot which aid in reducing pressure and adds comfort. Its high-quality leather makes it comfortable and an elegant casual shoe. A Texon insole stabilizes the shoe and helps to relieve plantar pressures. Sorbtek lining material wicks moisture away, keeping your feet cool and dry. Slip Resistant outsole provides secure traction. The Xelero XRS Technology provides greater stability and control. This cutting edge system supports natural gait pattern. The XRS technology is integrated in the midsole. The flat outsole provides optimal stability, while the propulsion element promotes a laterally stable forward propulsion, without changing your natural gait pattern and without losing your balance. The XRS Technology provides dynamic and stable forward motion during walking. The EVA Midsole supports a comfortable, stable, and accelerated heel-to-toe transistion, providing impact absorption. The XRS adds control, guidance and extra shock absorption. The center of gravity shifts as a consequence of the natural gait. The XRS System continues the forward motion. The internal control plate provides a stable platform for toe off. The body is shifted forward and the foot takes off. Sizes: 6-11 - Widths: B & D - Shoe Cover: Soft Leather. If you have any questions about this product by Xelero, contact us by completing and submitting the form below. If you are looking for a specif part number, please include it with your message.